2nd February 2018. Mike Quinsey. The momentum is building up that will hasten the first changes, heralding the beginning of the introduction of new measures that will signal the New Age is really under way. There is an underlying sense of urgency so that the new can begin to replace the old that has now served its purpose, and is no longer suitable for peoples current needs. The old ways of confrontation will be replaced by the urge to move on and settle old issues in an amicable manner, without the use of force or threats of retaliation. Changes must come very soon and people will look up to the bigger powers to set a good example of peaceful co-operation. Major decisions will be necessary to change the role of the armed forces, that will be looked upon as the peacekeepers of the future. Universal agreements will have to be made to run down the arms race and war activities must cease, and eventually will be unnecessary as all countries agree on a peaceful coexistence. It will take time to achieve but such changes, are coming, regardless of present feelings about the need to be prepared for warlike actions. The idea of war is in any event no longer an option, and those who harbour such thoughts will find that their attempts will be rejected and blocked. Humanity has moved on from the days of old and realises that there is more to life than the continual wars that have filled your history books. The many lessons that needed to be learnt have long gone since you passed the marker, and it is time to reject anything that goes against the idea of peaceful cooperation. The warmongers will be gradually removed from their positons of authority and power, and new appointments will be made of people that are more suited to handle the welcome changes that will bring world peace. Be assured that the plans for changes will go ahead, and pave the way for a peaceful and settled society that can enjoy their new found freedom and happiness. The sooner people realise that they have a wonderful opportunity to plan their own path to Ascension, the sooner they will benefit from the opportunities that are now waiting to be taken. The baggage that you carried with you from the last cycle is no longer a hindrance, and the path ahead is straight and uncomplicated. Set your sights upon your objective and head straight for Ascension. Let no one or anything else delay your progress, and be assured that as time passes the tasks you face will become easier. You simply cannot be affected by anyone else unless you allow it, so be determined to go all of the way with complete confidence. This New Age allows for others to help you on your way, and you will find that your Guides will come close to you should help be required. There is a parting of the ways with those of the dark Forces and it means that your progress will become easier with little or no difficulty, and those who would delay your progress will be unable to prevent your success. 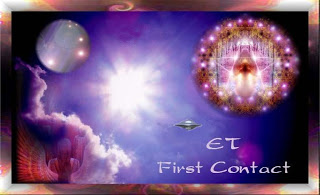 Humanity has been patiently waiting for what should be the first of many beneficial changes. At present it covers revaluation of the currencies commencing with the Zim, and all appears to be ready and waiting for the signal to commence. The set-up has required some extensive arrangements that have been no mean task, as will the eventual changes that will be bring all together. Timing is of the essence as no mistakes can be allowed to occur, and each transaction must be fluid and above board. It will all be seen as well worth waiting for and as the first of many changes that will bring the New Age into your reality. So much is lined up ready to propel you into a new era that you have been hearing about for quite a long time. Some still do not grasp the fact that war and all that is associated with such actions, is going to be gradually phased out as it has no place in the higher vibrations. Also the people have spoken and made the necessary changes that entitle them to live without the threat of war. As the vibrations continue to lift up so the negative actions will begin to cease. The all-powerful Light will however still continue to bring about changes where the vibrations have been at their lowest. Before long a point will be reached when the lower energies can no longer exist at the new level, and absolute peace will descend upon Earth. Many people are still uncertain of where they stand and cling to that which is familiar. However, what is coming is so far removed from what you experience now, and in every respect will be a great advancement to what you are familiar with. Life will be made so much easier than it is now, inasmuch that you will not spend so much time providing for your daily needs, as you will have devices that create exactly what you need and that includes food items that you use on a daily basis. There is almost no limit to what you can “create” and that includes clothing and other essentials. You will quickly become independent and consequently have so much more time for yourself and the pursuit of your interests. Travel will also be possible to anywhere in the world in next to no time by methods that are yet to be introduced. Much is being worked upon that will greatly uplift your quality of life, but perhaps you will put a longer life top of your list, as with the higher vibrations comes less in the way of aging until eventually it does not happen at all. Obviously not all of these changes will come overnight but you have so much to look forward to, as you are destined to become Galactic Beings. Many of you are going all of the way to Ascension, and if it is your ambition project it as your strong belief and you will be helping to make it become your reality. The fact that the vibrations are continuing to lift up means you will also be doing the same, providing you maintain your focus upon your goal and do not allow anything negative to pull your vibrations down. It may sound like a hard challenge, but providing you keep to your task you will find yourself becoming stronger and more purposeful with comparative ease. Never lose sight of the fact that at all times you have your Guides in attendance who will do their best to keep you on track. They are always near to you so invite them to accompany you on your path to Ascension. 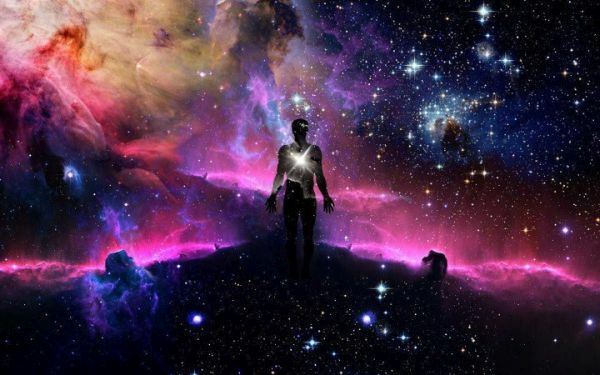 If you doubt your own ability to stay the course to Ascension, bear in mind that you have earnt this opportunity to ascend, and although some souls can do it in comparative isolation, the upliftment in vibrations that has taken place since 2012 is an opportunity for any soul to rise up. However you must apply yourself to the task and with help and firm intent there is no reason why you should not reach your goal. However, you cannot take others with you who have not sufficiently raised their vibrations. Stay positive and if you can also help others on the way, so be it.